The Center For Disease Control (CDC) issued its 'Final Update' of its investigation of Salmonella infantis, which was found in 20 US states and Canada, and caused by the contamination of pet foods in Diamond Pet Food's manufacturing facilities. "This particular outbreak appears to be over," the report said. "However, Salmonella is still an important cause of human illness in the United States." The Diamond Pet Food recall of several dry dog foods began in early January, 2012. A total of 49 human cases of Salmonella infantis was reported, 47 in the U.S., and 2 in Canada. All of the contaminated food was linked to one facility in Gaston, South Carolina. Although specific information about the severity of all victims' illnesses was unavailable to the CDC, of the 24 victims where information was known, 10 victims were hospitalized for Salmonella infantis. There were no deaths. Surprisingly, neither the CDC nor FDA nor any other government agency in the U.S. or Canada tracked the number of dogs and cats that were infected by coming into contact with Diamond's contaminated foods; but the website eFoodAlert identified 54 animals that became ill from consuming a Diamond Pet Food manufactured product. Eight of those pets died. By far, more cases of human Salmonella infantis are caused by handling or eating human foods. 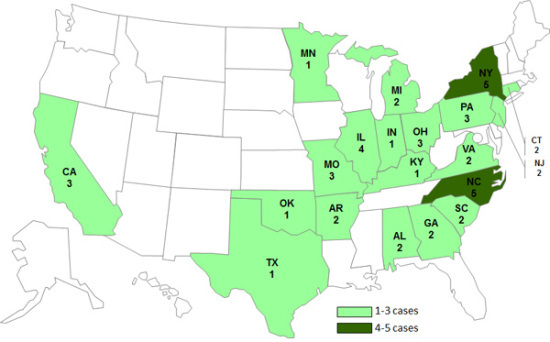 You can read more about the disease and follow recent outbreaks on the CDC website. SEE ALSO: All our latest Pet Food articles.